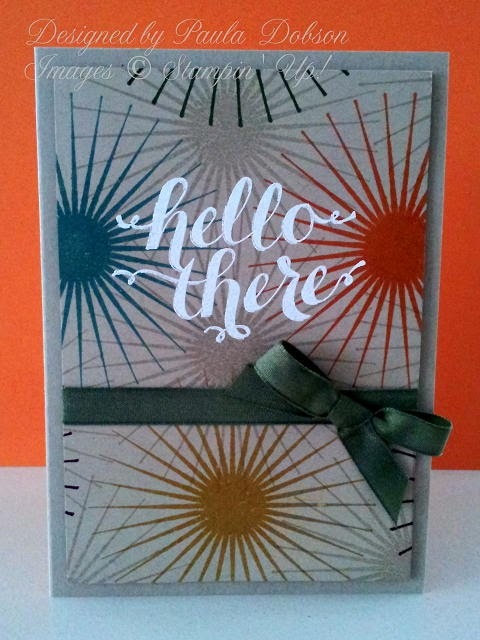 I just wanted to share a card I made for a fellow paper artist (always the hardest to make) using the starburst stamp from the new Kinda Electic stamp set I have been playing with lately. This card is regiftable, so she can use it to send to someone else later. 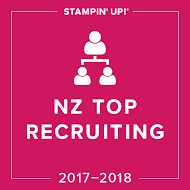 I have stamped the staburst in the new In Colours form the 2014-2015 Stampin' Up! catalogue, which goes live in just two weeks!! The colours are Hello Honey, Tangelo Twist, Blackberry Bliss, Lost Lagoon and Mossy Meadow. Love the names!! I have also added some tone on tone with Crumb Cake ink. 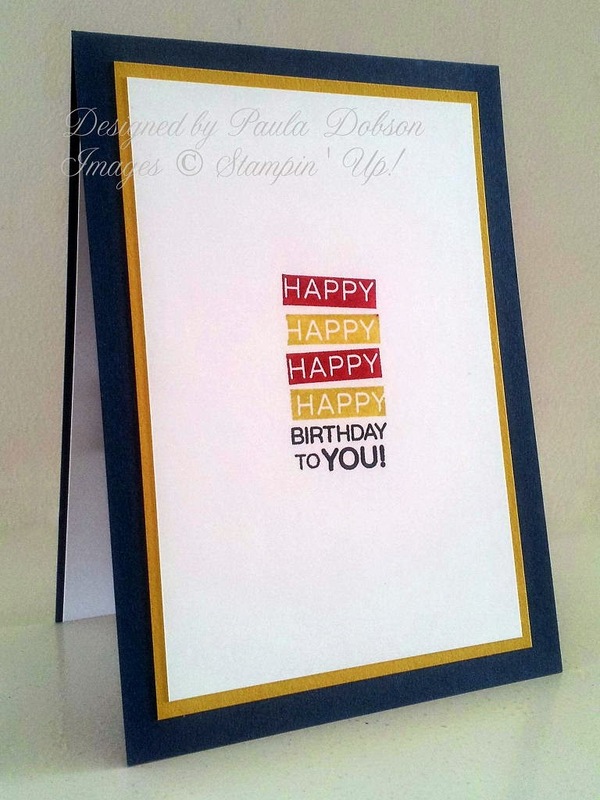 I heat embossed the sentiment in White embossing powder to make it "pop". The ribbon colour looks like Mossy Meadow but it isn't! I coloured this white ribbon with my darkest green Blendabilities from the Old Olive range. It matches perfectly! The best thing about it? It dries instantly! No more smudging ink from my coloured ribbons on to my projects. 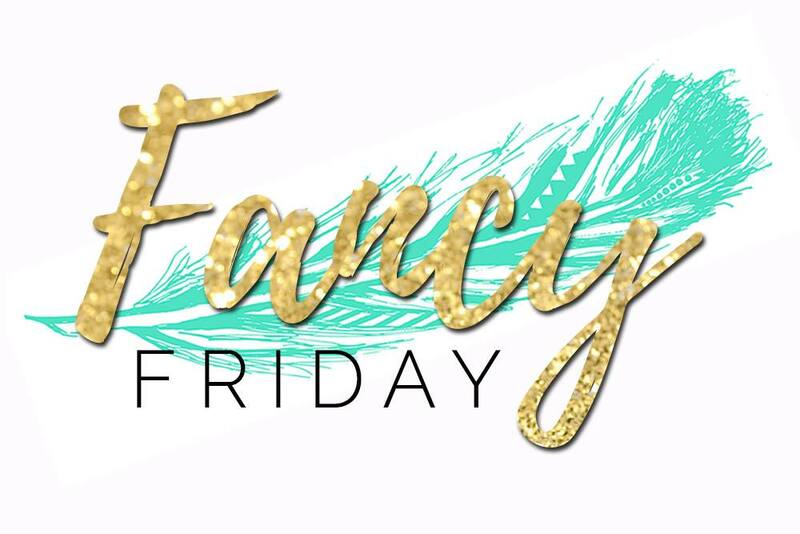 I selected a banner framelit and cut out a few different shades of pink card. 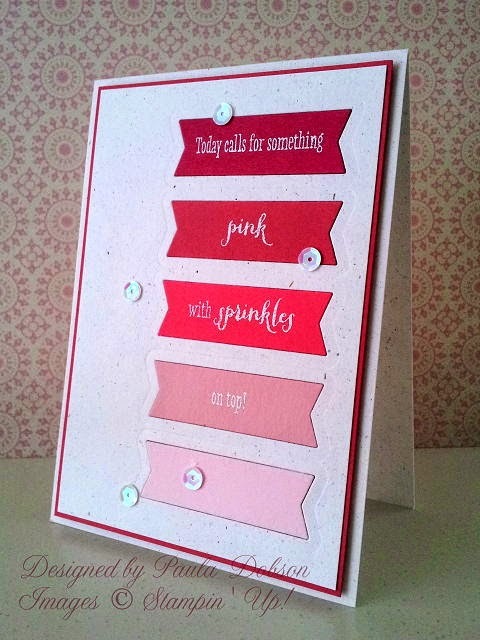 I had the perfect sentiment already chosen - "Today calls for something PINK with SPRINKLES on top", which I heat embossed in white embossing powder, on the pink banners. I finished everything off with sprinkles (that's sequins to you and me). This week at Just Add Ink, Kim has us using last years In Colours for the last time before they retire at the end of this month. Of the five colours, we have been challenged to use three. I chose to use Midnight Muse, Raspberry Ripple and Summer Starfruit. There was a reason for this selection. Can you keep a secret? It was for my DH's birthday card!! He is colour blind. Do you see my problem? I can't put red and green on the same card together, it looks like mud to him, and I certainly wouldn't dare put pink on either, lol!! So that left this striking combination instead. 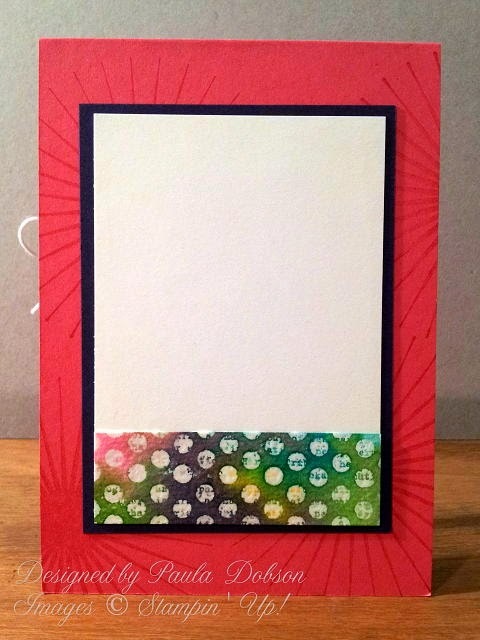 I have also inked a new Stampin' Up! stamp from the new catalogue, which goes live on July 1st, called Amazing Birthday. As usual, I have carried over the colour and artwork to the inside of the card as well. I hope he likes it! Join us in saying goodbye to these In Colours. Check out what the rest of the Design Team have come up with for your viewing pleasure HERE and leave us your entry! Blended Bloom birthday, that is. 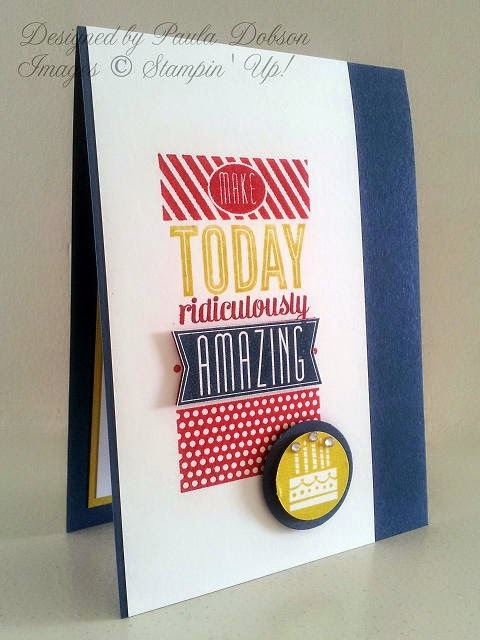 Just one of Stampin' Up! 's new single stamps in the 2014-2015 Stampin' Up! catalogue which goes live on July 1st! 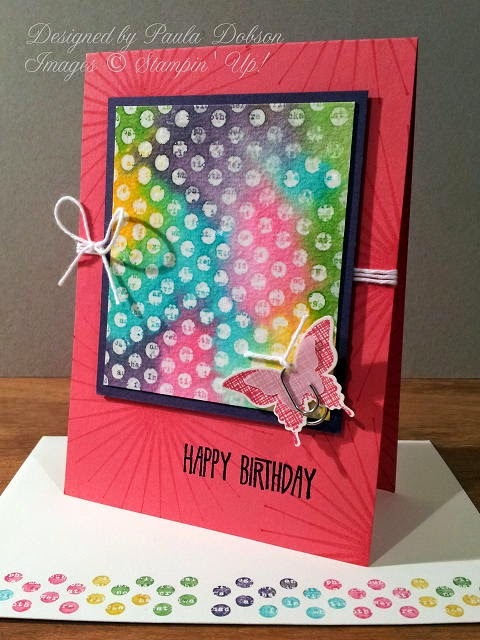 I used this gorgeous stamp for a birthday card so I could practice using the new Blendabilities markers, also available in the new catalogue! 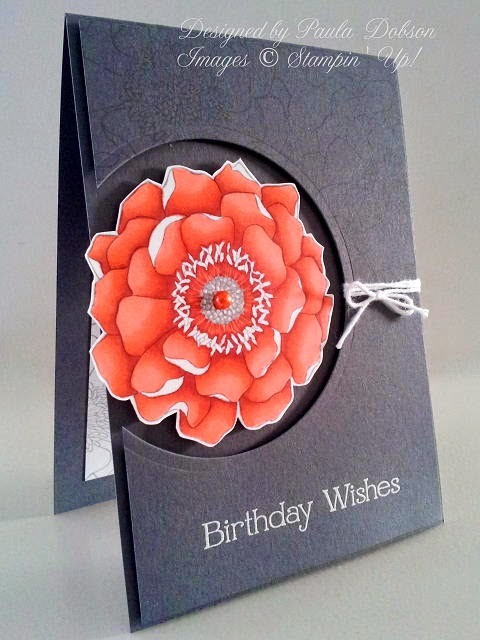 I made the flower and gorgeous Calypso Coral colouring the star of the card. I framed the flower by die cutting a circle from the front mat and popping it up on Dimensionals. I also stamped the flower tone on tone, on the top half of the mat. Love how this turned out. Good morning to my now 20 year old daughter, and HAPPY BIRTHDAY!! Where has the time gone? I had very strict instructions for this card. It had to be tie dyed and pink. That's for the Hippie in my DD, lol. Can't really tie dye cardstock, so I used watercolour paper instead and an Aqua painter to apply the colour wash over the clear embossed, stamped image. 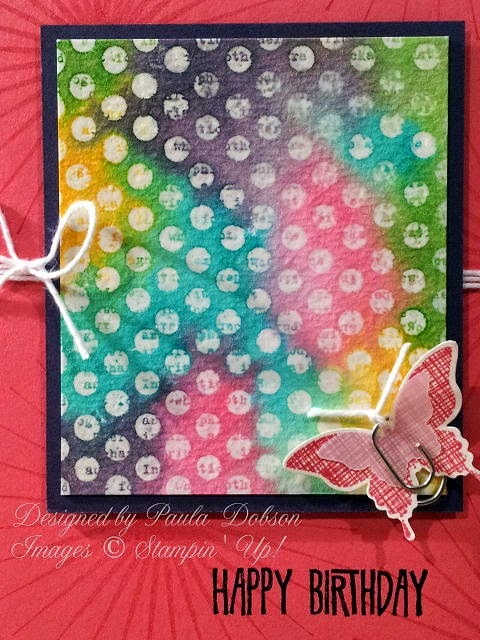 I also used a new stamp set, Kinda Eclectic, which is available in the new 2014-2015 Stampin' Up! Catalogue from July 1st. Love this stamp set! Here's a close up of the emboss resist panel. Love the layered butterfly embellishment! I also finished the inside of the card with the same emboss resist technique. 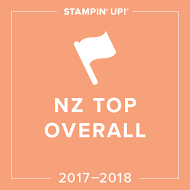 Do you need a copy of the new 2014-2015 Stampin' Up! catalogue? 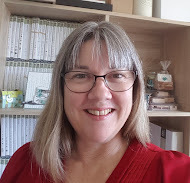 If you live in New Zealand, then just place an Online order of $100 or more with me during June and I will post a copy to you free of charge! Allow Demo contact so I have your postal details and use Hostess Code: ZPY2HDTG. Thank you for shopping with me!